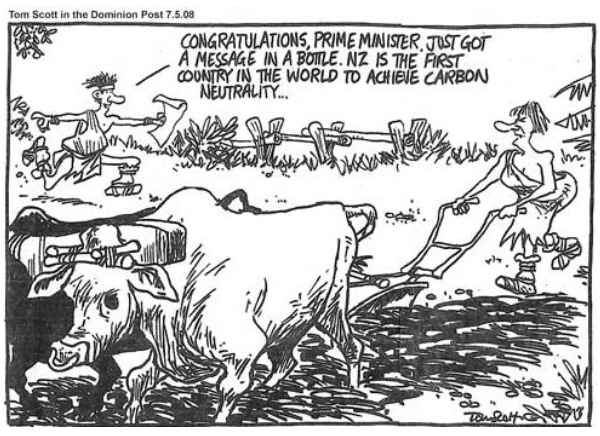 Ten years ago, Tom Scott captured this vision of the consequences of Left-Green tyranny. Today, they continue on that backward-looking path, abetted by a compliant Labour Party through an electoral accident that Winston Peters exploited to circumvent the democratic vote and put the Greens and Labour into the same bed. What a pity Peters wasn’t thinking of the national good. They banned oil exploration, but why? Was it because of global warming? Well, since it hasn’t been warming, what would you say? I say it’s because oil riches threaten us with extraordinary prosperity—which means freedom for everyone. But they don’t trust us with freedom. National does. PS: The likeness of the ploughwoman to our Helen is astounding. Click the heading if you wish to access the comment form.